Cohort studies are observational analytical studies. As mentioned in my previous blog (http://blog.manuscriptedit.com/2014/02/overview-different-analytical-study-designs-medical-research/), the word ‘cohort’ is derived from the Latin word ‘cohors’, which means unit. For conducting cohort type of studies, the study population is chosen from general population both exposed to a certain agent suspected for disease development and unexposed to the cause. The population is followed for a longer period of time. 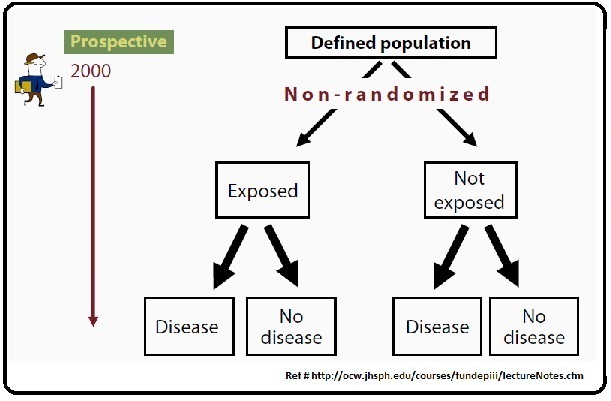 The incidence in disease development in exposed group is compared with the non-exposed group. Therefore, the objective of a cohort study is to find out association between a suspected cause(s) and disease. If performed correctly, cohort studies can predict results comparable to the experimental analytical studies. The following measurements can be done in a cohort study design: absolute risk or incidence, relative risk (risk ratio or rate ratio), risk difference, and attributable proportion. Cohort studies are classified as prospective and retrospective studies based on the timing of enrollment of subjects and disease outcome. 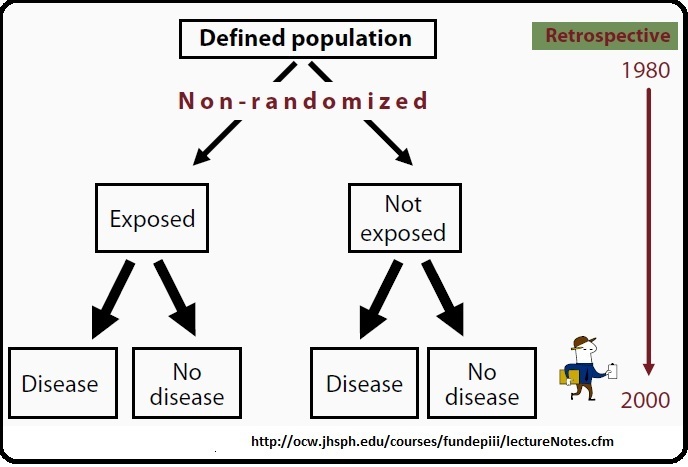 As the name suggested, prospective cohort studies are started with a population containing non-diseased subjects but all having a risk to develop a certain disease, and the investigator waits for the disease to develop. The population is divided into two groups, one with the exposure of the potent agent or environment suspected to be associated with the disease, and the other remains unexposed but with equal susceptibility to develop the disease. Then the population is followed up for a certain period of time until they develop the condition or disease. 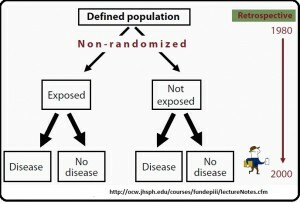 After following up the study population for a certain period of time until the disease developed, the incidences of disease in exposed and unexposed population are calculated (see the following schematic diagram). Therefore, incidence rate is the measure of disease in cohort studies. The association to disease is measured by relative risk (RR). 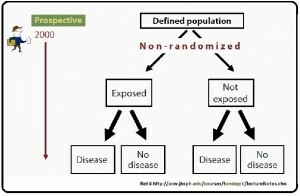 From the above table, the incidences of disease in exposed and unexposed population, relative risk (RR) can be calculated. 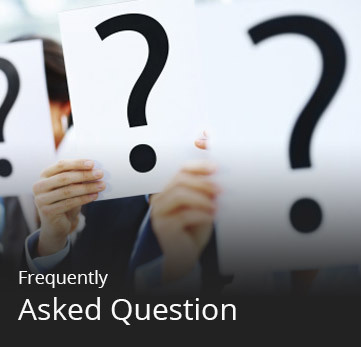 Attributable risk or exposure attributed to the disease in total population or in other words population attributable risk (PAR) can also be calculated with respect to the total population. The Framingham heart study is a good example of this type of prospective study. Started in 1948, this study is still going on. The Framingham heart study was undertaken to determine common contributing factors to cardiovascular disease. The Framingham risk score based on the Framingham study can predict 10-years cardiovascular risk in an individual with no known cardiovascular disease. However, the study has certain limitations as well. The study requires a large population and long time to complete. Loss of subjects in long time follow-up adversely affects the outcome of the study. 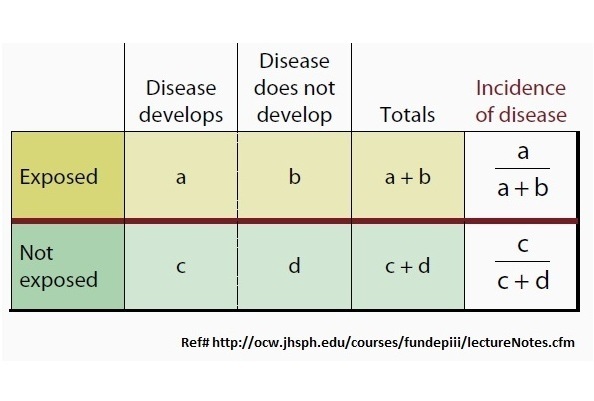 Prospective study is insufficient in rare diseases. Moreover, this type of study is expensive and has ethical issue too. 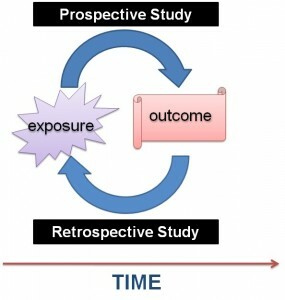 Retrospective cohort study, also known as historical cohort study, is a type of cohort study where data are collected in past, but analyzed at present (see the inset diagram). Here, the investigator retrospectively identifies the exposure and the outcome information. 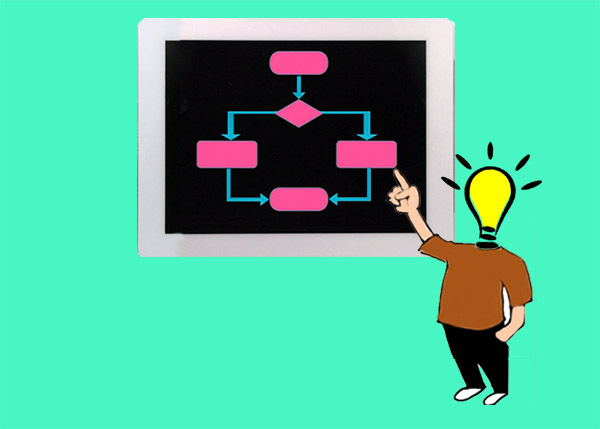 A retrospective study design is chosen for a rare or unusual exposure for which a prospective study design will not be appropriate. 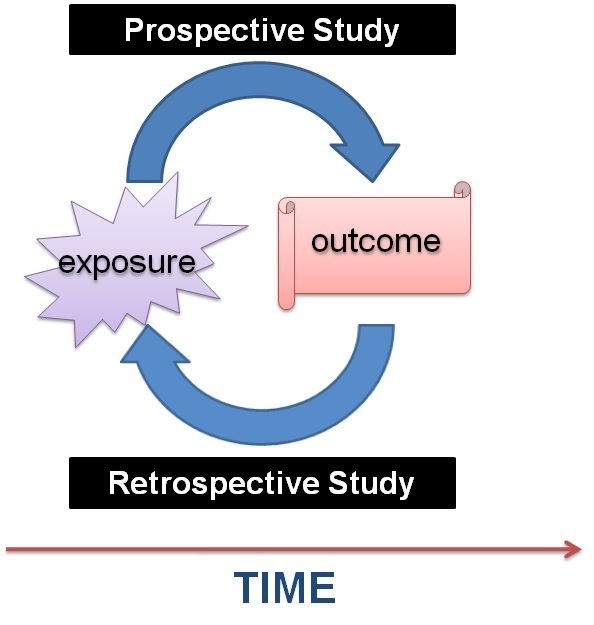 In addition, retrospective study design can quickly estimate the effect of exposure on certain outcome as well as determine the disease association. This type of study is helpful in designing future studies and interventions. 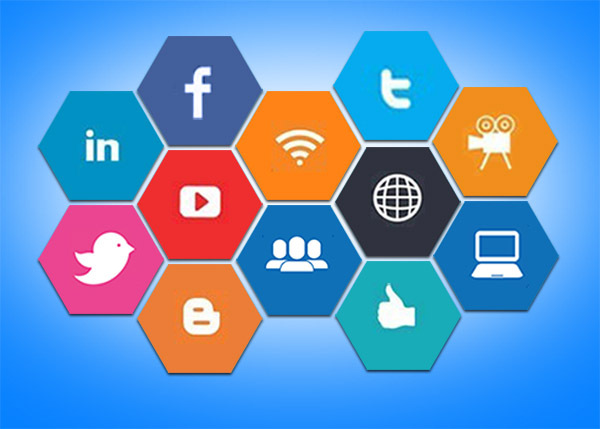 The data are collected from past medical records, administrative databases, conducting patients’ interviews, etc. Odd ratio is used as the measure of association between the exposure or risk factor and disease. The other measurements are same as prospective cohort study. 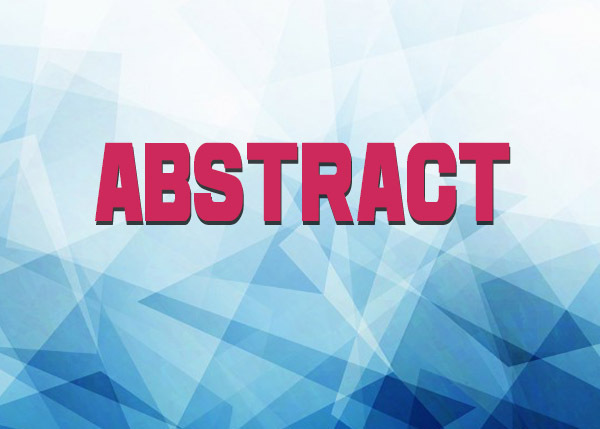 A classic example of retrospective study is the study conducted by Case et al (1954) to examine the excess risk of bladder cancer in men worked in the manufacturing plant of certain dye intermediate. In this study, the authors first made a list of men who worked in chemical plant manufacturing dye in UK at least six months since 1920. The investigators searched retrospectively for the cases of bladder cancer among those workers who had been employed in dye manufacturing chemical plants between 1921 to till February 1952. The number of cases of bladder cancer among these workers was then compared with the number of bladder cancer incidences in general population to determine the excess risk of bladder cancer in men exposed to certain dye intermediate. However, retrospective cohort study design has certain disadvantages, especially, the chances of selection bias in sampling is relatively higher. 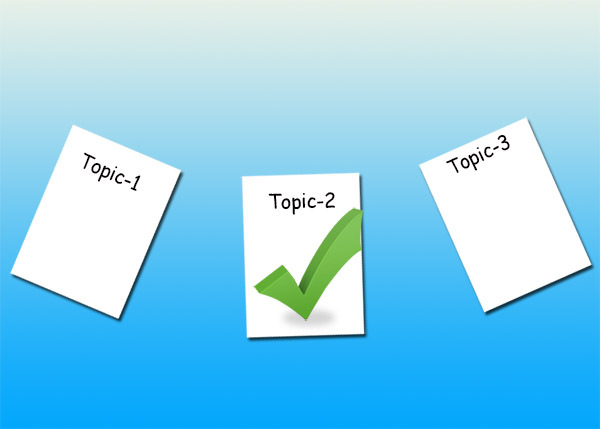 Sometimes it may be difficult to identify the appropriate exposed group and corresponding control group or the group for comparison. Confounding is another issue in historical study design; loss of follow up may also bias the study results. In addition, like prospective cohort study, retrospective cohort study is not appropriate for rare diseases. Poor quality of available medical data not designed for such study often adds error in results. 1. Morabia, A (2004). A History of Epidemiologic Methods and Concepts. Birkhaeuser Verlag; Basel: p. 1-405. 6. Case RAM, Hosker ME, McDonald DB, Pearson JT (1954). Tumors of the urinary bladder in workmen engaged in the manufacture and use of certain dyestuff intermediates in the British chemical industry. Part I. The role of aniline, benzidine, alpha-naphthylamine, and beta-naphthylamine. BR J Ind Med 11:75-104.